The Passport line from Haulmark Trailers is the ideal cargo trailer for recreational and light duty commercial applications. 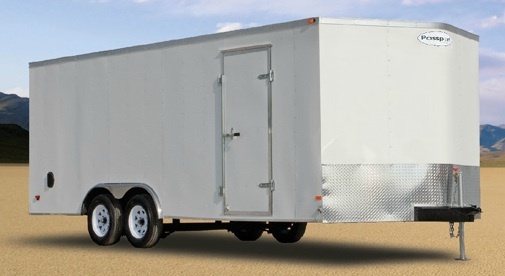 The 7′ to 8.5′ wide models are available from 12 to 24 feet in length. Specifically engineered for the entry-level consumer with light-duty applications, Passport cargo trailers come standard with V-Nose construction to improve handling and MPG while towing.